We’ve got all of the Big Brother 20 spoilers from Thursday night up until today, and we also have a pretty good idea of what will go down at Monday’s Power of Veto meeting. So let’s take a look. We didn’t get to see the HOH play out on the live episode or on the Live Feeds, but when the feeds returned later Thursday night, it was Angela wearing the HOH key around her neck. She became the first person of the season to win HOH for a second time. We still aren’t sure how the competition played out exactly, but we do know that Angela didn’t really intend to win. Despite what Faysal and Haleigh thought about the deal they made with Angela and Tyler last week, they found themselves on the block during Friday’s nomination ceremony. Angela was never going to honor that deal as she and Tyler are very loyal to Level 6. Faysal finally regretted targeting Scottie last week after he realized that deal was bogus. After a very, very long veto competition on Saturday, the Live Feeds returned revealing that Level 6 held onto the power as Kaycee won her first Power of Veto of the season. Apparently she beat Faysal by only one point, so needless to say he is not happy about that outcome. We won’t know for sure what the rest of the week will look like until Monday, but we basically already know what will happen. Level 6’s agenda this week is to send Faysal out the door. And if it’s not Faysal, then it would be Haleigh. So that means Kaycee will not be using the POV come Monday. And unless the HGs get really bored before Thursday and talk themselves into another plan, you can expect Faysal to walk out the door and straight into the Battle Back competition. Watching him square off with Scottie is sure to be entertaining! 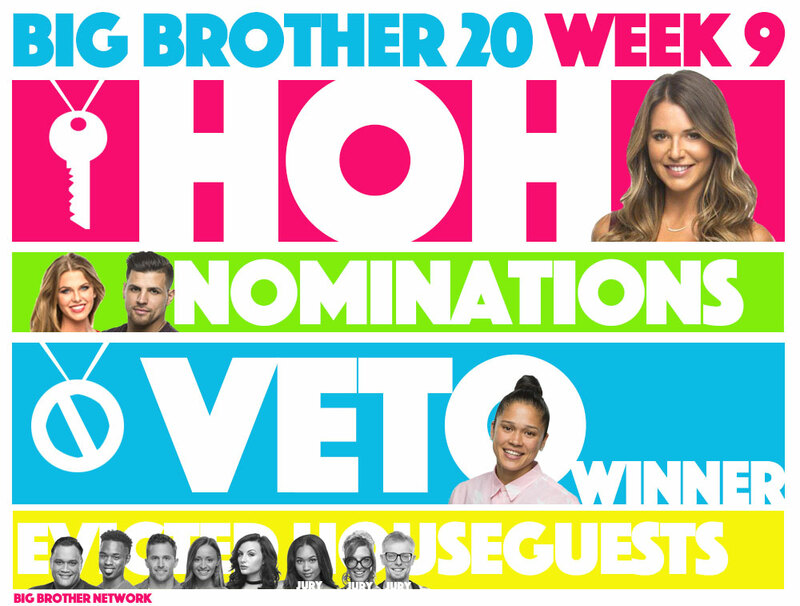 What do you think of all the results from Big Brother 20 so far this week? Who do you think will be joining the other four jurors this week for the Battle Back?